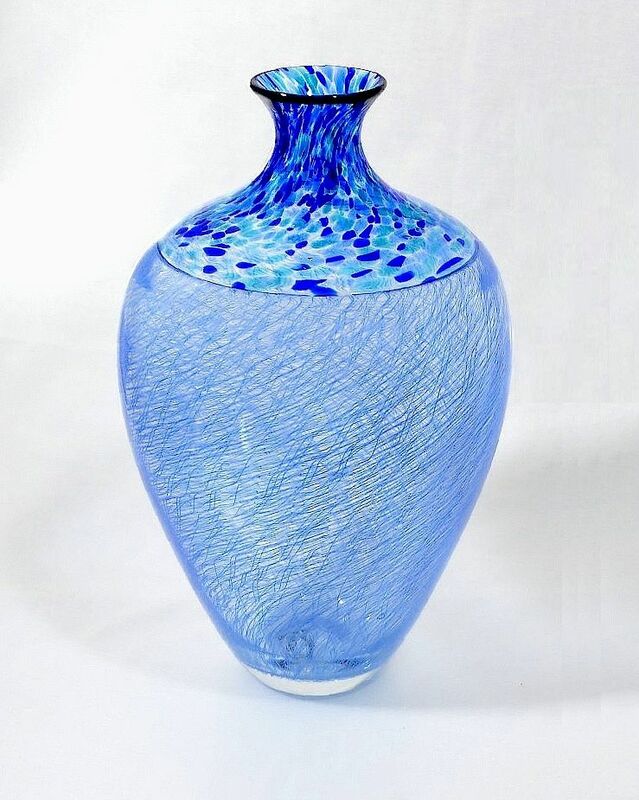 This wonderful vase was made in 2012 by Mike Hunter for Twists Glass as part of the Merletto range that Mike developed that year. The elegantly shaped vase has a blue merletto base that is fused to an incalmo top inlaid with tessera canes of varying shades of blue. Signed "M Hunter Twists 12 Merletto" with its Twists Glass Studio sticker. This is a lovely piece.